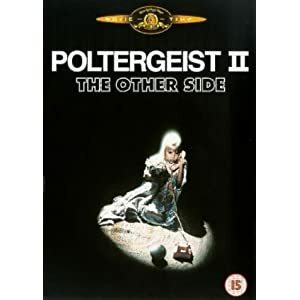 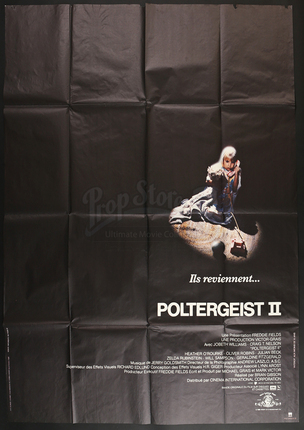 A large vintage French subway poster from Brian Gibson's 1986 horror sequel, Poltergeist 2: The Other Side. 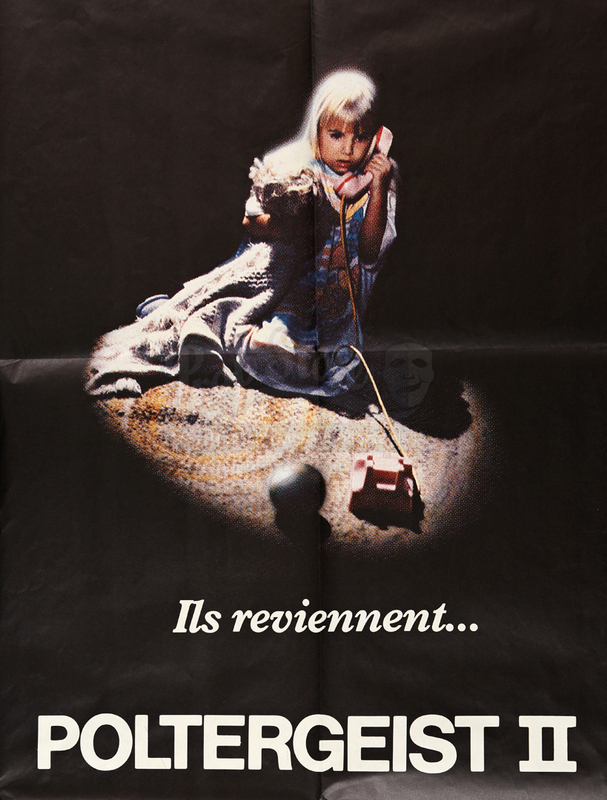 Printed on paper, this poster shows Carol Anne (Heather O'Rourke) answering her toy phone in a small pool of light. 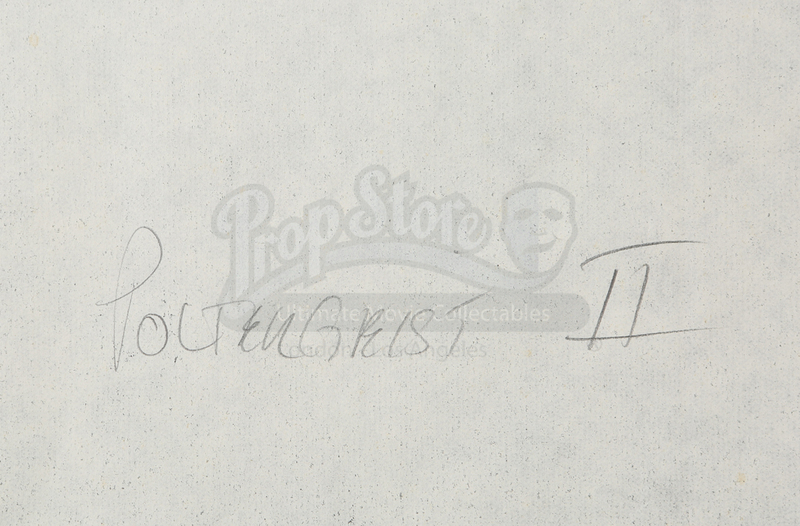 The poster has been folded and shows small tears from pin holes. 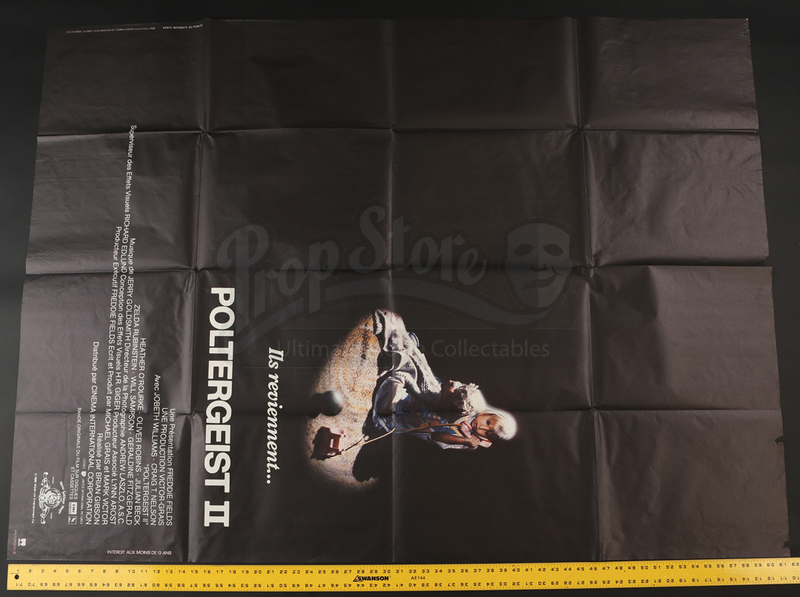 When unfolded, the poster measures approximately 45 1/2" x 61" (116 cm x 155 cm). 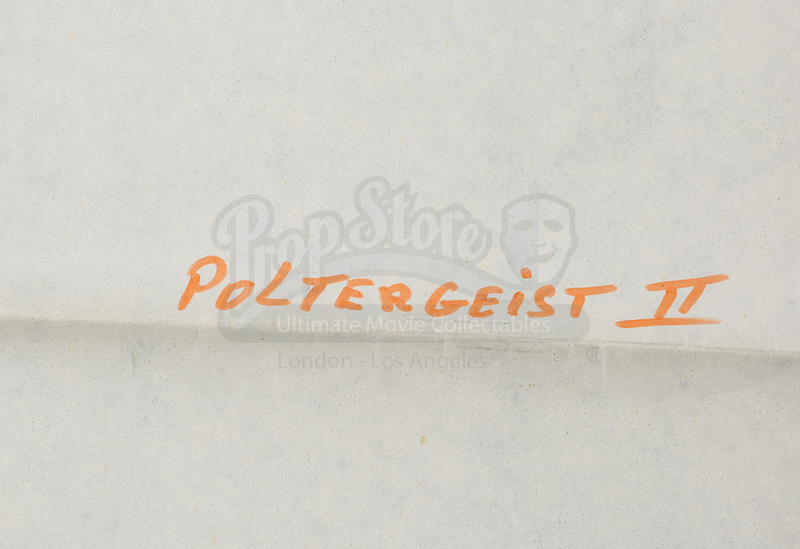 Aside from the noted wear, this classic poster remains in good condition.